Harmonic progression is an important topic of sequence and series which is closely related to the arithmetic progression. We shall discuss arithmetic and geometric progressions in brief as they have been discussed in detail in the earlier sections. Arithmetic Progression: A progression in which there is a fixed difference between every pair of two terms i.e. the progression of the form a, a+d, a+2d, …..  is known as an arithmetic progression. Geometric Progression: The sequence or progression of the form a, ar, ar2, …. is said to be a geometric progression. The simplest way to define a harmonic progression is that if the inverse of a sequence follows the rule of an arithmetic progression then it is said to be in harmonic progression. This simply means that if a, a+d, a+2d, …..   is an A.P. then 1/a, 1/(a+d), 1/(a+2d), …… is an H.P. For example, the series 1 +1/4 +1/7 +1/10 +..... is an example of harmonic progression, since the series obtained by taking reciprocals of its corresponding terms i.e. 1 +4 +7 +10 +... is an A.P. Let a, b and c form an H.P. Then as discussed above, 1/a, 1/b and 1/c form an A.P. Then 2/b = 1/a + 1/c. Hence, b = 2ac/ (a+c). This ‘b’ is called as the harmonic mean of a and c.
Illustration: We have a H.P. whose 7th term is 1/10 and 12th term is 1/25. Find the 20th term and hence the nth term. Illustration: If a, b, c are in H.P., show that a/b+c, b/c+a, c/a+b are also in H.P. Solution: It is given in the question that a, b and c are in H.P. ⇒ (a+b+c)/a, (a+b+c)/b, (a+b+c)/c are in A.P. ⇒ (b+c)/a, (c+a)/b, (a+b)/c are in A.P. ⇒ a/b+c, b/c+a, c/a+b are in H.P. Illustration: If a2, b2 and c2 are in A.P., then prove that b+c, c+a, a+b are in H.P. Solution: It is given that a2, b2 and c2 are in A.P. Hence, (b+c), (c+a), (a+b) are in H.P. So the nth term of an H.P is given by 1/ [a + (n -1) d]. A.M > G.M > H.M.
askIITians offers extensive study material which covers all the important topics of IIT JEE Mathematics. Units like harmonic progression and arithmetic progression have been covered in detail along with several solved examples. The JEE aspirants must have a strong grip on the topics in order to remain competitive in the JEE. 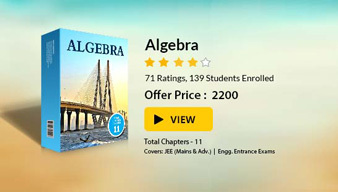 Click here for the Entire Syllabus of IIT JEE Mathematics. Look into the Past Year Papers with Solutions to get a hint of the kinds of questions asked in the exam. You can get the knowledge of Useful Books of Mathematics here.